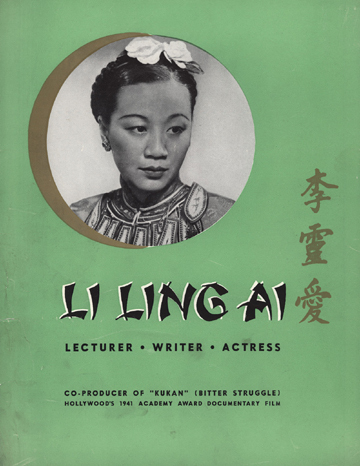 Finding KUKAN | A feature documentary film by Robin Lung about pioneering filmmaker Li Ling-Ai and her lost Oscar-winning film KUKAN. Now available for Educational & Institutional Use and streaming through Vimeo On Demand and Kanopy! In the late 1930s Chi­na is in dire straits. The coun­try will col­lapse under Japan’s mil­i­tary jug­ger­naut if it doesn’t get out­side help. Chi­nese Amer­i­can fire­brand Li Ling-Ai jolts Amer­i­cans into action with a new medi­um — 16mm Kodachrome col­or film. She hires pho­to­jour­nal­ist Rey Scott to trav­el to Chi­na and cap­ture a citizen’s per­spec­tive of the war-torn coun­try, includ­ing the mas­sive bomb­ing of the wartime cap­i­tal Chungk­ing (now Chongqing). Their land­mark film KUKAN screens for Pres­i­dent Roo­sevelt at the White House, is called “awe­some” by the New York Times, and receives one of the first Acad­e­my Awards for a fea­ture doc­u­men­tary in 1942. Why have we nev­er heard of Li Ling-Ai? And why have all copies of KUKAN dis­ap­peared? Film­mak­er Robin Lung goes on a 7-year quest to find the answers.